The guide of incorporation, tax, employment, and dispute resolution in Hong Kong for Expats. The brief guide of relocation and doing business in Hong Kong for expatriate entrepreneur. It has all the essential information you need to know to launch a startup in Hong Kong. Further comprehensive guide covering Hong Kong business registration, incorporation, taxation, accounting, immigration, business licensing and employment, please feel free to take a look at our Guide to Hong Kong. Since 1 July 1997, the Hong Kong Special Administrative Region (HKSAR) was established. On the same day, the People’s Republic of China (PRC) resumed its sovereignty over Hong Kong after a hundred year of British colonial era. Prescribed on The Basic Law, the constitution of Hong Kong, HKSAR retains its political, social, commercial and legal systems for 50 years after sovereignty handover to PRC, and will enjoy a high degree of autonomy, free market and trade system (capitalist economy) that supports Hong Kong to be a renowned international financial hub, free port and city of doing business. English common law and rules of equity are the backbone of HKSAR legal system, they are strictly adherence to the principles of the rule of law and independence of the judiciary. With a very few exceptions, the legal system are maintained after handover to PRC. Hong Kong adopts capitalist economic system and retains its operation of a free enterprise and free trade market as prescribed in The Basic Law, it can be illustrated by minimal government interference in all the sectors, and small number of duties and tariffs on import and exporting of goods and services. For freedom of enterprise, no exchange control is imposed so companies and individuals are allowed to import or export at their own discretion, and flow of capital is free as dividends and profits derived from business in Hong Kong are allowed for free conversion and remittance to foreign currency and territories. Moreover, no taxation is imposed on dividends. The freedom of doing business in Hong Kong is made by its generally lack of restrictions on investment and time-to-time stimulus program to encourage investment. The simple and low taxation regime, effective and clean government and workforce in HKSAR provides a pro-investment climate for both local and oversea investors to venture their business in the city. Since 1983, Hong Kong dollar has been pegged to US dollar at a rate of HK$7.8 to US$1 and trading in average between HK$7.75 and HK$7.85 to US$1 nowadays. This linked exchange rate is backed by the Exchange Fund holding foreign assets valued at HK$2700 billion in January 2015 for stabilization. The fund is managed by Hong Kong Monetary Authority (HKMA), the de-facto central government bank of Hong Kong. Since the absence of a official central bank, there are 3 banknote issuing banks in Hong Hong – HSBC, Standard Chartered Bank and Bank of China. The stock exchange in Hong Kong has been developed to serve the not only local but also international market. The Hong Kong Stock Exchange (HKEx) is Asia’s 2nd largest stock exchange in terms of market capitalization, and the 6th largest worldwide. As prescribed in the Basic Law, Hong Kong possesses high degree of autonomy especially in conducting its external commercial relations: conclude and implement bilateral or multilateral trade agreements with foreign territories and international organizations. For example: Hong Kong is a founding member of the World Trade Organization (WTO) and is also a member of the Asia-Pacific Economic Co-operation (APEC) forum. The unique historical background of Hong Kong as a trade port between businesses in Mainland China and the worldwide and its adjacency to Mainland China make the unique relationship with the PRC – a gateway of businesses between PRC and the world. A huge part of the PRC’s inbound investment takes the route via Hong Kong, while PRC is one of HKSAR’s largest trading partners. The deep and close business co-operation and integration between Hong Kong and the PRC offer huge business opportunities to the businesses in Hong Kong as well as overseas entrepreneur. The signing of the Closer Economic Partnership Arrangement (CEPA) was the first and major free trade agreement between PRC and Hong Kong which opened up huge opportunities for Hong Kong businesses by allowing Hong Kong goods and services to gain greater access to the PRC market. Meanwhile, CEPA can also be beneficial to PRC since Hong Kong serves as a benchmark of global standard to show PRC businesses to enter global market, a important step to promote PRC integration with the global economy. For oversea entrepreneur, establishment of businesses in Hong Kong is the best business vehicle to utilize the CEPA benefits and stepping stone to access the vast opportunities that the PRC market offers. The market of offshore renminbi (RMB) businesses is growing rapidly, Hong Kong possesses the world-class financial infrastructure to make it an international financial hub as well as the pioneer in this field – the first offshore RMB market to launch RMB related financial services since 2004. A growing variety of offshore RMB products and services have been launched in Hong Kong since the demands of local and overseas entrepreneur and financial institutions. Both investors in Hong Kong and Mainland China are beneficial to positive development of offshore RMB trade and more business opportunities. Launched on 17 November 2014, Shanghai – Hong Kong Stock Connect is first and ever cross-boundary investment channel that connects the Shanghai Stock Exchange and the Hong Kong Stock Exchange (HKEx). Under the program, investors in each market are able to trade shares on the other market using their local brokers and clearing houses. Companies Ordinance (CO) is a laws to rule companies in Hong Kong. The old Companies Ordinance (Old CO) underwent a rewriting exercise commencing from 2006. As a result of the rewriting exercise, the new Companies Ordinance (new CO) became effective on 3 March 2014. The new CO aims to achieve four main objectives, to enhance corporate governance, ensure better regulations, facilitate business and modernize the law. Various major initiatives have been introduced under the CO for achieving the four main objectives such as abolition of par value for shares, abolition of memorandum of association, allowing companies to dispense with annual general meetings and making the keeping and using of a common seal optional etc. Feel free to contact us for the updates on CO.
For reference, sole proprietorship, partnership (including limited partnership) are unincorporated body thus they are but very rare for carrying business from oversea. We have an article to tell the details of all above “carriers”. A frequently asked question by our customer: “Can I setup a branch office in Hong Kong?” Technically, a foreign company is impossible to setup a “branch” since “branch” is a legal entity as an extension of present and brand name of an existing local business. We have a comparison between Hong Kong company and representative office as well as “branch”. By the law (Company Registration Ordinance), any person (including companies and individuals) who are the principle operator of a business must obtain a Business Registration Certificate from Inland Revenue Department (IRD) within one month of commencing business for its principle office address in Hong Kong as well as its intended business nature. Business Registration Certification (BRC) does not serve as a license to run the owner’s intended business in Hong Kong, the owner must obtain specific license in some restricted industries after the obtaining BRC. It is because the One-stop Company and Business Registration Service, jointly launched by the IRD and Companies Registry (CR), serves any person who applies for incorporation of a Hong Kong company and/or non-Hong Kong company at CR is deemed to be made an application for business registration simultaneously. Since the incorporation process does not require the physical presence of the applicant in Hong Kong, nor the applicant must be a Hong Kong resident and Chinese nationals. The successful incorporation means the successful business registration at the same moment, before the business commencement. Public company (most of them are listed on The Stock Exchange of Hong Kong Limited – HKEx – subjected to additional compliance, a discussion of which is beyond the scope of this guide). The liability of each shareholder is limited to the amount (if any) unpaid on the shares held by that shareholder. The rights of shares transfer is restricted by its constitution. Number of shareholders are capped at 50 persons (both individual and corporate shareholders inclusive). Remark #: In February 2011, the launch of Inland Revenue Department One-stoop company and business registration help to speed up process of incorporation. When the application is submitted to CR, a simultaneous application for Business Registration (handled by IRD) is deemed to be made, so the Notice must be submitted together. The incorporation process does not required the present of any directors or shareholders to be physically present in Hong Kong. Submission through local agent is allowed. However, company secretary and registered office address by be present in Hong Kong. The application processing usually takes 1 week. Upon the approval of an incorporation by CR, the Certificate of Incorporation certifying the company name and date of incorporation of the company is issued by CR, while the Business Registration Certificate certifying the company’s registration of doing business in Hong Kong and its expiry date is issued by IRD. Collection of both document can also be done via local agent. To further speed up the incorporation process, the application can be submitted electronically via CR e-Registry service which is a 24-hour web portal, the approval can be done as fast as 2 hours, and the Certificate of Incorporation and Business Registration Certificate are delivered electronically as well. Online Hong Kong companies registration (provided by Companies Registry) is now available here. The first rule of naming your company is that no two company names in the companies registrar are identical, free company name search on CR’s website to check if the proposed names are already in use is a must. There are also regulation on the use of certain restricted words that are related to government authorities and public interests. CR does not offer company name reservation in advance. A company may register either a English Name, a Traditional Chinese Name, or both, no other language is allowed. The word “Limited”/”Ltd” or “Company Limited”/”Co Ltd” must be shown on the suffix. No restriction on the maximum and minimum amount of share capital for any type of Hong Kong companies is prescribed in Hong Kong companies law. All of the share capital must be classified into different classes of shares with special rights attached to each of them. The class of shares and their attached rights must be prescribed on the company’s Articles of Association which is submitted to to CR during incorporation. The common classes of shares are Ordinary Shares, Preference Shares of Deferred Shares. The maximum number of shareholder is 50 persons (individuals or corporates) regardless of their nationality or place of incorporation. However, one of the shareholders named as principle shareholder must submit whose particular to the CR and exposed to the public record. Although either individuals (must aged at least 18) or corporates can act as director of a company, at least one of the directors must be natural person. No restriction on nationality, place of incorporation, domicile and residence of directors, except that no corporate director is allowed when a private company which is a member of a group of companies of which a listed company is a member. The latest particular of directors must be submitted to CR and exposed to the public record, the record must be kept updated in case of any change. The directors are responsible to attend annual general meeting, CO poses no restriction on where and when the meetings be held, oversea entrepreneur prefers meetings by telephone as well as video conference technology to save time and cost in traveling. A written resolution which is provided by the companies’ constitution signed by all directors is as valid as if the resolution had been passed at a meeting. Every company incorporated in Hong Kong must have and maintain at least one statutory Company Secretary (Note: this position is not the same as the administrative assistance to management staff) which is either an Hong Kong resident who aged 18 or above or another Hong Kong company. For oversea startup which usually utilize a Hong Kong company with sole director, please be reminded that the sole director of a Hong Kong company is not allowed to take up the position of company secretary of this company at the same time. The particular of the company secretary are exposed to public like that of the director. The company secretary’s statutory duties are to maintain the company’s statutory records including the registers of directors and shareholders, arrangement of and minutes of directors’ and shareholders’ meetings and the certificate books, and to prepare the documents which have to be filed on public record in CR. Since the position of companies secretary requires knowledge in Hong Kong companies law, it is often that the oversea entrepreneur hire local firm to handle those secretarial works. Every company incorporated in Hong Kong must have and maintain a registered office address in Hong Kong which act as the legal communication address and to be exposed to the public. This address can be the same as or different from the company’s address for doing business. For privacy protection, entrepreneur often rent this address from business center. Except for those companies entitled to audit and accounts reporting exemption, Hong Kong companies must prepare for and keep “proper” books of accounts and financial statements to provide a true and fair view of the companies’ financial position and performance to the interested party. Companies’ accounts must be audited and signed by Hong Kong Certified Public Accountant (CPA) per every accounting year and submit the audited accounts to Hong Kong Inland Revenue Department in prior to the prescribed deadline on notice of tax return to the companies. The submitted accounts of a private company are not published or filed on any public record. In addition to obligation of maintaining the updated records of companies particular in CR (i.e. updates CR for any of changes such as alternation of Articles of Association, company name, registered office address, etc), Hong Kong companies are also required to file an Annual Return to CR which shows the most updated particulars of the companies. In other word, the fill in incorporation form again with the latest information and pay the incorporation renewal fee and levy accordingly. The initial Business Registration is deemed to be made when incorporation applicants submit their incorporation documents to CR. For renewal, the applicants need to deal with IRD separately before the prescribed deadline shown on IRD demand note. Overseas corporations (i.e. 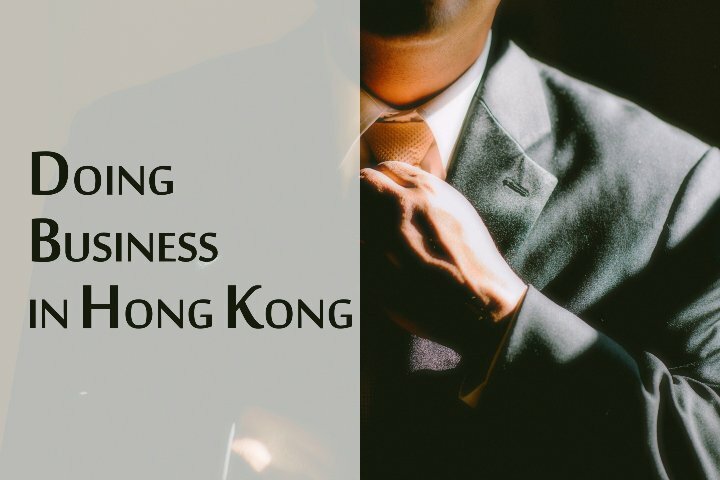 the body corporate incorporated outside Hong Kong) are allowed to establish “a place of business” in Hong Kong to perform business activities and thus profit-making. These oversea corporates are required to register such offices as “Non-Hong Kong companies” in CR withing one month after the “place of business” is established. The most important differentiation between non-Hong Kong companies and local companies by Hong Kong law is that an non-Hong Kong company is not a separate legal entity from its oversea owner, this entity is deemed as an “oversea brand office in Hong Kong” of its owing oversea company to carry on business in “a place of business” in Hong Kong physical address, this branch must use the same business name of its oversea owner who also bears full control and liability of this branch when it is carry on business in Hong Kong. In general, local companies (companies incorporated in Hong Kong) and non-Hong Kong companies are subjected to the same statutory filing requirement and taxation consequences in the matter of Hong Kong laws. Companies Registry is the authority to handle the registration, while Business Registration Office under Inland Revenue Department is the authority to handle the business registration of Non-Hong Kong Company. The oversea corporations are required to authorize at least one local representative of a non-Hong Kong company who must be either a local residential individual or a Hong Kong company. The statutory duties of this representative is similar to that of Company Secretary in a local company. In addition to application form of formation and business registration, Hong Kong authorities requires document of the oversea company includes the certified copy of Articles of Association (or its equivalent), a certified copy of Certificate of Incorporation (or its equivalent), and a certified copy of the latest audited accounts prepared under accounting requirement in the oversea jurisdiction of incorporation. Except certain incorporation laws or laws of stock exchange in some jurisdictions, oversea companies are required to file a copy of its latest published accounts on public record of CR on registration as well as the annual renewal of the Non-Hong Kong Companies. This filing basis is also applied to the incorporation particular of the oversea companies. Alike local companies, any updates on the oversea companies particular related to its incorporation have to be filed to CR immediately. In the matter of Hong Kong laws, oversea corporations who do not have the need to handle any profit-making activities and capital raising transaction in Hong Kong are allow to engage in certain business-related activities in Hong Kong. In such a case, a business entity named Representative Office (sometimes it is known as Liaison Office) in Hong Kong representing this oversea corporations is appropriate. Representative Office is not an incorporated body – the fundamental difference between local companies and non-Hong Kong companies. Technically, Representative Office must not transact any business in Hong Kong which creates any legal obligations (unable to make any transaction that generate profit within the taxation regime in Hong Kong). It is allowed to engage in activities such as entering into usual arrangements with utility companies; with landlords (in respect of the lease of its office premises); and with its employees. As a result, its functions is limited to acting as a liaison office between the corporation and the corporation’s offices elsewhere and introducing Hong Kong customers to those offices. Registration of representative office is not handled by Companies Registry, its registration requirement is to obtain a Business Registration Certification handled by Business Registration Office of Inland Revenue Department (IRD). The business name of the Representative Office must be the same of its oversea corporations. An ongoing local office address and the particular of a local residing individuals act as “manager” of this office must be submitted for registration. Since Representative Office must not generate profit within the scope of Hong Kong taxation, the office MAY apply to the IRD for exemption from filing Profit Tax Returns on the ground that the office does not carry on business in Hong Kong. In practice, the office can fill the return on a “NIL Profit Tax Return” basis for less workload but the same effect. Unincorporated business entities (i.e Sole Proprietorships and Partnerships) are never an appropriate vehicle for oversea entrepreneur carrying business in Hong Kong because they are not a separate legal entity, all its debts and liabilities are the personal responsibility of the owners, and the entities itself does not have continual existence. The only step of its registration is to obtain a valid Business Registration Certification from Business Registration office in Inland Revenue Department within 1 month after the commencement of the business. It is an business entities for 1 individual only, an ongoing local office address is needed for registration. Annual Profit Tax Return are required. For sole oversea entrepreneur without valid Hong Kong residence statue or Hong Kong Employment / Business VISA, registration of Sole Proprietorship is almost impossible since they are not allow to work and engage in direct business activities and thus cannot provide proof of business commencement in Hong Kong for its registration. It is an business entities for 2 to 20 individuals (i.e. partners), an ongoing local office address is needed for registration. Annual Profit Tax Return are required. Partnership Ordinance is the law regulating partnership. Other than it, a governing agreement named “Partnership Agreement” is usually created (optional but highly recommended) as constitution among the partners of a partnership firm. The combination of both provides the provision regulating the rights and obligation of partners. In case the “Partnership Agreement” does not exist or does not cover a matter, the Partnership Ordinance applies on. The term “General Partnership” is usually referred for a partnership business that all partners are personally liable – In a General Partnership, all partners are general partner. Since partnership is the business firm of at least 2 partners, sole oversea entrepreneur is able to join into an existing partnership without visiting Hong Kong. However, registration of partnership by oversea entrepreneur without “Work” VISA or HK residence is still not possible. Its name implied, some of the partners who have liability limited only up to the amount that they contribute to the capital of the partnership business are named “Limited Partners” while the other partners in this “Limited Partnership” is “General Partners” who have unlimited personal liability. To protect the benefits of general partners in a Limited Partnership, Limited Partnership Ordinance stated that Limited Partners are not allow to take part in the management or control the business and have no power to bind the limited partnership as its agent. As a upgrade to General Partnership, its registration requires not only acquiring Business Registration Certification, but registration in Companies Registry (CR) are also required. Any partnership without registration in CR is deemed as General Partnership only. Limited partners is an appropriate body to inject capital as investment into a partnership, oversea entrepreneurs are welcomed to be. In the view of invest in Hong Kong, there are two feasible ways of purchasing an existing business in Hong Kong. When a Hong Kong company owns the target business or its asset, the purchase of shares in this company to acquire the all of its assets and liabilities at the time of purchase is a double-edge sword. To minimize the buyer’s risk, the “buyer beware” principle should apply to the purchase by conducting a due diligence exercise in relation to the seller (i.e. target company) and by seeking warranty and indemnity protection in the sale and purchase documentation. On the other hand, it is possible that asset acquisition is subjected to the filing of certain statutorily prescribed notices, to protect the buyer from hidden liabilities of the target business. Comparing to buying shares from target companies, structuring a an acquisition of assets is usually more complicated since it may involve obtaining third-party consents, novation and transferring employees. Hong Kong as a city for business, although there are no regulation on the buyers’ nationality and place of incorporation, the purchase of shares in a Hong Kong company involves the payment of stamp duty to government at a rate of 0.2 percent on the purchase price paid for the shares OR the underlying net asset value of those shares, whichever is the higher. The acquisition of Hong Kong company’s assets does not involve the payment of any stamp duty *. * If the acquisition involves the transfer of an interest in real property in which stamp duty could be chargeable up to a maximum rate of 8.5 percent of the purchase consideration or the value of the real property, whichever is the higher. If the acquisition involves residential property, additional consideration of the Buyer’s Stamp Duty and Special Stamp Duty may be imposed and chargeable up to 35% of the value of property. In Hong Kong, “Joint Venture” is not a legal entities. By definition, a joint venture is a commercial enterprise between two or more partners who agree to undertake a business together and jointly venture into a business. In practice, each partner contributes resources (mostly capital venture) in return for a share of the ownership and thus profits of the business. In Hone Kong, a private limited company is the most common structure for establishment of a joint venture to jointly conduct business. Each partners take a shareholding of the company. The joint venture partners normally enter into a shareholders’ agreement, which regulates the business of the joint venture company and the rights and obligations of the joint venture partners. Oversea entrepreneur are recommended to structure their venture by taking shareholding of a limited company for doing business in Hong Kong with others partners. As a limited company is a separate legal entity, liability of each partner is limited to contribution by each of them. In Hong Kong, there are generally no statutory laws or administrative procedures in most of the industries that regulate the appointment or activities of representatives such as agents, distributors or franchisees in Hong Kong. Relevant agreements are simply governed by common law principles of contract and agency, and the parties are theoretically free to negotiate their own terms. And, none of Capital gains tax, withholding tax and indirect tax (e.g. VAT/GST/Sales Tax) are currently imposed in Hong Kong. Duties are charged on a few restricted products e.g. tobacco and alcohol. Profits Tax is the only direct income tax on income of business carriers regardless the businesses are carried by individual(s) or corporate (i.e. sole proprietorship, partnership, branch, private company, public company, and non-Hong Kong company). As Hong Kong SAR’s tax system is territorial source of income based, tax is not levied on the basis of an individual’s or a company’s residence. However, the concept of residency does have some importance in the application of some other provisions – such as transfer pricing, offshore income tax exemptions and tax treaties between other jurisdictions and Hong Kong – the concept of residency in common law applies in the absence of specific provisions to the contrary. A corporation is considered as resident if it is incorporated in Hong Kong or managed and controlled in Hong Kong. Inland Revenue Department (IRD) of HKSAR government is the only tax authority in Hong Kong, and Inland Revenue Ordinance (IRO) is the major piece of legislation of taxation of Hong Kong. IRD takes a 3A approach – Auditing After Assessment – to the assessment of profits tax returns. Every registered business must receive tax return (except IRD agrees that the business has no commencement, has ceased operation, or has no assessable profits), and every tax return is due within one month of its date of issue from IRD. Newly registered businesses will receive their first profits tax return some 18 months after the date of commencement of business or the date of incorporation. Application for deadline extension is subjected to decision of IRD. and the application must be made before the original due date. No withholding tax is imposed on dividends, interest or capital, whether these are paid to residents or non-residents. Moreover, dividends can only be paid out after profits tax according to accounting principle in Hong Kong. There are exemptions, withholding tax is imposed on payment to non-resident entertainers or sportsmen for their performances in Hong Kong AND royalty of intellectual property. When royalty payment made to a non-resident company or individual from Hong Kong taxpayers for the use of intellectual property both in and outside Hong Kong, the payment recipients are subject to withholding tax. If the recipients are “associates” of the Hong Kong taxpayers, whole amount of the royalty is subjected to Profits Tax which is 16.5 percent currently. If the recipients are deemed as “no person carrying on trade, profession by IRD a deemed profit of 30 percent of the royalty is assessable to profits tax, effective withholding tax rate of 4.95 percent with the current profits tax rate at 16.5 percent). The IRD’s principle behind this withholding ruling is to fight tax avoidance – prevent Hong Kong taxpayers from minimizing their tax liability by entering into arrangements with individuals or companies associates. Taxable income (assessable profit in the matter of Profits Tax) is the net profit for the basis period originating in Hong Kong, excluding offshore profits and profits arising from the sale of capital assets. IRD adopts “operation test” to identifying if the profits earned from a business operation is territorial sourced in income. The business income is deemed as “sourced in a Hong Kong” where the important activities in business operation of generating that profits takes place in Hong Kong. No capital gains tax in Hong Kong is imposed. Since tax assessable profits must be source in Hong Kong and generated from transaction in the nature of a trade, profession, or business, a speculative transaction may still be tax assessable. Tax losses, which is a accounting loss when the total tax deductions of a taxpayer can claim in a tax year exceed the total of income assessable, can be carried forward indefinitely but cannot be carried back to prior years. Certain anti-avoidance provision in Hong Kong tax laws limits the use of “loss companies” (companies with accounting tax losses) for offsetting profits from tax assessment. For example, the shareholding structure of a loss company is changed, this change is deemed as the sole or dominant purpose of utilizing this company’s tax losses against profits in subsequent year, selling tax losses is tax avoidance. By definition, deductions is the taxpayers’ expenses which can be deducted from taxable income. However, the expenses incurred in the operation of the business are not wholly deductible. In general, the expenses are only deductible to the extent they are incurred in the production of profits which are subject to profits tax. In the event a corporation’s profits are derived from both Hong Kong sources and non-Hong Kong sources, only the expenses attributable to the Hong Kong sourced income are deductible. Depreciation is a kind of tax allowance as tax relief to taxpayers who acquired fixed assets for the use in profits generation and business operation. The ruling on depreciation is favorable to manufacturing industry in which its operation requires manufacturing plants, machinery and technology research, these usually incur heavy capital expenditures in the initial development stage. Although assets (e.g. real estate) may be revalued upwards over time, calculation of depreciation for tax is based on their capital cost. For capital expenditure incurred on construction of industrial buildings and structures for use of manufacturing and profits generation, the initial depreciation allowance is 20 percent of the capital expenditure accounted in the first year of the expenditure incurred. Following an additional 4 percent of capital expenditure annually afterward, until the total expenditure is written off. While that incurred on commercial building does not enjoy enjoys initial depreciation allowance, only 4 percent of the expenditure is accounted as depreciation annually. When the industrial or commercial buildings are disposed, a balancing allowance or charge equal to the difference between their Written-Down Value (WDV) and price on disposal may take arise. For capital expenditure on plant, machinery, and computer hardware and software for manufacturing industry, the expenditure can be written-off in the year of expenditure incurred. For other plant and machinery for manufacturing, the initial depreciation allowance is 60 percent of the capital expenditure in the year of recurrence, thereafter either 10, 20, or 30 percent of rate of depreciation allowed by IRD apply to the particualar category of plant or machinery according to the estimated working life. For capital expenditure incurred on the renovation or refurbishment of business premises may be deducted over five years in equal installments, initiated in the year of expenditure incurred. Every companies is a legally separated entity and are taxed separately, Hong Kong has no tax relief on consolidation of group of companies. Stamp Duty applies to the transfer of stock from Hong Kong companies at a rate of 0.2 percent on the higher of the consideration paid or the market value plus HKD 5 on the instrument of transfer. Stamp Duty applies to the assignment of immovable property situated in Hong Kong. The rates varies according to the amount or value of consideration, capped at 4.25 percent. Special Stamp Duty (SSD) is payable on transactions in residential property purchased on or after 20 November 2010 and resold within 24 months. SSD is in addition to the ad valorem rates of Stamp Duty. In addition to SSD, Buyer’s Stamp Duty (BSD) for residential properties acquired by any person (including companies) except a Hong Kong permanent resident is charged at 15 percent of the consideration value or the market value of the property (whichever is the higher). There is no CFC tax regime in Hong Kong. Hong Kong does not provide comprehensive transfer pricing provisions in tax regime, this area is covered in the IRD practice note. The note of IRD tells a specific inter-company pricing provision to counteract the diversion of profits from Hong Kong to closely connected non-Hong Kong resident person. Moreover, the PRC and Hong Kong SAR have signed the tax treaty to enable tax authorities to make transfer pricing adjustments for accounting transactions between associated enterprises. There is no thin capitalization ruling in Hong Kong legal system. Regarding interest to be tax deductible, the interest must meet at the criteria to ensure that an interest deduction is denied where the corresponding income is not assessable. “Disguised employment” involving individuals providing services to their employers, through companies which the employees own and control, and with which they have entered into tax efficient employment contracts comparing to that of direct employment. “Service companies incorporated by the proprietors of unincorporated business” providing the personal services of the proprietors to the unincorporated businesses (e.g. partnerships) in exchange for the payment of management fees. Treaty shopping is the practice of structuring a multinational enterprise to take advantage of more favorable tax treaties available in some jurisdictions. For example, a business corporation that resides in a jurisdictions that does not have a tax treaty with the income source jurisdictions, so it establishes an operation in a second income source country that does have a favorable tax treaty for avoidance of tax liability in the home jurisdictions. The dividend and the interest articles of the tax treaties concluded by Hong Kong SAR often contain anti-treaty-shopping provisions. A taxpayer can submit application to the Commissioner of IRD for a ruling on how any provision of the tax law applies to him or any arrangement specified in the application. A ruling requires the full particulars to be disclosed to IRD, and subject to the payment of a fee and certain regulation. Intellectual Property and R&D receive none of tax incentive in Hong Kong tax regime but quasi-incentives grant outright deductions for certain expenditure that have not been deductible – such as, scientific research, expenditure on certain fixed assets, technical education and the purchase of patent rights or rights to know-how. Capital expenditure on copyrights, registered designs and registered trademarks is deductible in equal installments over five years. Additionally, the concessions available for offshore reinsurance companies and in respect of qualifying debt instruments are often seen as incentives. There are also favorable depreciation and write-off provisions, which are deemed as an incentive to investment in buildings or plant and machinery. Common types of Islamic bonds have also been placed on a level playing field with conventional bonds, removing a perceived impediment to the development of a sukuk market in Hong Kong. Prior to the introduction of the relevant laws, the prohibition on payment of interest and the transfer of assets involved in Islamic finance resulted in Islamic finance products being exposed to additional tax when compared with economically equivalent debt arrangements, The law ensures that financial instruments of similar economic substance are afforded similar tax treatment. The legislation adopts a religion-neutral approach using the term Alternative Bond Scheme (ABS), rather than Sukuk, to denote the arrangements to which the tax treatment applies. Adopted territorial source principle of taxation, Hong Kong impose only 3 direct income taxes which are taxing only on, in general, businesses income, employment income and property rental income arising or derived from Hong Kong. Salaries Tax is the only income tax on individual taxpayers. There is no capital gain tax, dividend tax or inheritance tax in Hong Kong, and the tax rate is relatively simple and low among Asian economies. Double taxation relief is available but few. Hong Kong does not require withholding on employment income, so taxpayers need to pay tax in lump sums plus the first installment of tax will usually include provisional tax for the next assessment year, so the tax payable is typically double what most overseas taxpayers expect. Complete and submit the personal income tax return within 1 month after the prescribed date. Remark: Assessable income is the total income under a tax less deductions. Tax regime on Hong Kong income-sourced territorial base, only the income is derived on or sourced from Hong Kong is taxed. Therefore, IRD does not provide a definition of residence in legislation. Salaries Tax covers all income arising in or derived from Hong Kong from an office, employment or pension. Be note that, interest income earned by an individual is exempt from tax in Hong Kong when the taxpayer is not carrying on a business in Hong Kong. Although Hong Kong does not impose capital gain tax, individuals who receive shares or options as part of employees’ remuneration are subject to Salaries Tax on the value of the shares or options at the end of vesting period less the amount that the individual taxpayer paid for grant. From the reference of cases, an individual who does stocks and securities trading on frequent basis for living, IRD may considers the individual as “traders” thus the income is subject to salaries tax. The individuals’ income is subject to salaries tax when the income is Hong Kong sourced employment, no matter taxpayer is locally employed or expatriates who is employed by oversea employer but deriving Hong Kong-source employment income. Individuals who visit Hong Kong for not more than 60 days in an assessment year is not liable to salaries tax on their income of employment. In other words, the stay of the individual which exceed 60 may result in salaries tax being assessed on that income derived in a pro-rated based on the proportion of time spent working in Hong Kong. Assessable Income of an individual equals total income from employment sourced in Hong Kong less deductible expenses less charitable donations less personal allowances. the location of the employment income is paid. Specific reference is made on the directors’ remuneration of Hong Kong companies. Directors’ fees paid to directors of a Hong Kong company which is managed in Hong Kong is wholly subject to Hong Kong Salaries Tax regardless of directors’ nationals and residency. Pensions are taxable when the pension fund are managed and controlled in Hong Kong, and the pensions are given because previous services provided in Hong Kong. Commissions, bonuses, awards, gratuities, allowances and any form of perquisites benefits derived from Hong Kong sourced employment contract are subject to salaries tax. Be noted that the rent-free residence provided by employers or its associates to employees who are subject to Hong Kong salaries tax is also a kind of taxable allowances. The “rental value” of this residence is presumed to be 10 percent of the recipient employee’s salary (4 or 8 percent for hotel and serviced apartment accommodations), reimbursement of the rent paid for employees’ accommodation follows the same calculation. Income from dividend is not subjected to income tax. However, any gains from exercising share options are taxable as a move to fight tax avoidance in “disguise employment income”. In the same sense, education benefits for the children of employees are also taxable. Unlike pension, the amount of severance payments and long-term service payments which do not exceed the limit under Employment Ordinance and unemployment benefits allowed by Social Security Department are not taxable. Donations exceeding HK$ 100 to approved charities, up to a maximum of 35 percent of total assessable income less other deductions. Business expenses which are wholly, exclusively and necessarily incurred to produce income subject to salaries tax. Self-education expense of up to HK$ 80,000. Hong Kong taxation system offers generous allowance to salaries taxpayer. Every taxpayer is entitled to Basic Allowance of either HK$ 120,000 per single person or HK$ 240,000 per married couple. In addition, allowances entitle to taxpayers with dependents child, sliding and parent, and single parent. Only one taxpayer can claim for those dependents allowance. In addition, allowances entitle to taxpayers with dependents child, sliding and parent, and single person. Joint Assessment involves the aggregation of a married couple’s income assessable to Salaries Tax only. The total income and thus allowance of the couple will be aggregated, and married person’s allowance will be deducted from the couple’s joint total income. This may result in tax advantage comparing to separate assessment. In general, a couple will be tax advantageous when both of them are more advantages to be assess separately by progressive rate than by standard rate AND one of them has unconsumed basic personal allowance to “absorb” the partner’s assessable employment income. The couple must be mutually agreed and voluntarily to elect Joint Assessment and the election must be made year by year. Since Hong Kong tax system assess Hong Kong income sourced from 3 categories: business, employment and property rental (i.e. Profits Tax, Salaries Tax, and Property Tax). In the event that individuals (or married couple) taxpayer who receive more than one category of income personally, the may elect to pay personal income tax under “Personal Assessment” in their tax return to obtain tax advantageous since the accessible sources of income under Salaries Tax, Property Tax and Profits Tax are aggregated in a single assessment which are assessed under Salaries Tax. An item of expense which may not be deductible against a particular source of income can become deductible (e.g. mortgage interest expense of a rent-out property is not deductible under Property Tax, this expense becomes deductible under Personal Assessment) and personal allowance under Salaries Tax can “absorb” the assessable incomes under other taxes. Taxpayer who are resident and permanent resident of Hong Kong is eligible to elect personal assessment on their total personal income. The election must be made within a stipulate time limit, and must be made year by year. When taxpayers anticipating a drop in their income may apply for holding over of provisional tax or payment of tax, IRD’s requirement is that their net chargeable income for the provisional tax year is less than 90% of that of the preceding year. When Rental Income is generated from letting immovable property suited in Hong Kong, Property Tax applies on such income, thus the property owner is liable to such Property Tax. Property tax is charged at a standard rate on the net assessable value of any land or building in Hong Kong. The net assessable value is the assessable value (i.e. rental income after deduction of rates paid by the owner and irrecoverable rent) less a notional allowance of 20% for repairs and maintenance. Only rates paid by the property owner is deductible. Only the amount of rent confirmed to be irrecoverable during the year is deductible. The amount of rent recovered must be reported as rental income for the year of recovery in the tax return. Since Hong Kong taxation system adopts territorial-source basis, a Hong Kong resident that receive income derived outside Hong Kong are not subject to income tax of Hong Kong in general. Hong Kong resident who operate business in other jurisdiction rarely suffer from the problem of double taxation of income. Regardless location of profit derived, the Hong Kong taxpayer enjoys deduction for foreign tax paid on income subject to tax in Hong Kong if such tax is paid on the gross amount of the income. Hong Kong has been expanding its network of tax treaty among major economies worldwide, most of the treaties are based on OECD model treaty. Hong Kong has adopted the Exchange of Information Standards established by the OECD, and amended its tax legislation to allow it to conclude standalone tax information exchange agreements in July 2013. The double tax agreement allow foreign tax paid to be credited against profits tax on the same income, the amount of the credit is limited to that of Hong Kong tax payable on the same income. However, the method to apply for benefit in tax treaties is unclear except application of tax arrangement with Mainland China (PRC government). Taxpayers may file a claim for IRD’s review on the ground of particular treaty are satisfied. Real Estate Tax: Immovable property owners are only subject to property tax on the rental income from property suited in Hong Kong. Stamp Duty Office in Inland Revenue Department is the authority to collect stamp duty and to stamp on the documents. AVD is charged on the documents connected with the lease (tenancy), sale or ownership transfer of immovable property suited in Hong Kong, and on the sales of shares of limited company incorporated in Hong Kong. In other words, AVD is a “document tax”. No party Whether the property owner or the tenant should pay the stamp duty, both parties can freely agree between themselves on their respective shares of stamp duty. For leasing of immovable property, the rate is 0.25 percent of the total rent payable for a lease contract of one year or less; 0.5 or 1 percent of the annual or average yearly rent for a lease contract of two to three year or over three year respectively. The Tenancy Agreement should include the item regarding AVD. Practically, the parties will pay the stamp duty in equal shares. The rate of stamp duty on sales or transfer of immovable property in Hong Kong is varying and capped at 8.5 percent of the consideration or the value of property transferred. The stamp duty on the transfer of Hong Kong shares is 0.2 percent of the value of the shares which is equally between the buyer and seller. An exemption may be available for an transfer take place between a group company when certain conditions are satisfied. In addition to AVD, for any Hong Kong residential property acquired on or after 27 October 2012, SSD is levied of 20 percent of the value of resident property if the property is resold within six month of purchase; 15 percent if that is resold between 6 months to 12 months of purchase; 10 percent if that is resold between 1 year to 3 years of purchase. In addition to AVD and SSD (if applicable), for any Hong Kong residential property acquired by any person or any limited company, except a Hong Kong Permanent resident, BSD is levied of flat rate 15 percent of the value of resident property. Apart from the easy incorporation in Hong Kong, oversea entrepreneurs can take advantages of Hong Kong less restrictive employment regulation than other jurisdictions such as European Union and the United States. The Employment Ordinance, which is the major piece of employment legislation in Hong Kong, covers the fundamental rights and protection for all employees as well as employers, it applies to a huge majority of employee engaged under a contract of employment in Hong Kong, regardless of its written or verbal format, with only a few exceptions (e.g. merchant seamen, and family members employed in family businesses). Since the Employment Ordinance offers the fundamental protection to employees and employers, a contract of employment cannot undermine the terms covered by ordinance. When any contractual terms in any contract of employment are less favorable, the Employment Ordinance prevails. For oversea entrepreneur, the extreme low level of employee participation as well as membership of trade unions in Hong Kong means ease of human resource management to corp with business development comparing to that in European countries and America. Hong Kong has a number of labour organizations/trade unions but no union security agreement. These organizations are principally established on a trade-by-trade basis, although some of the larger corporations with substantial numbers of employees have labor unions particular to that corporation. As employers in Hong Kong, there is no statutory requirement on them to maintain a percentage of local employees or that a percentage of payroll be paid to local national employees in a corporation. All corporation are free to employ non-local nationals when an Employment VISA for a applicant is approved by Immigration Department before landing in Hong Kong. Except a few exception, the Hong Kong VISA applicant must head to the Chinese Embassy (formally The Embassy of the People’s Republic of China) in the country of applicant’s residence before their departure for Hong Kong. A local Hong Kong sponsor is required (normally the employing company) to support the application, and is required to assume responsibility for repatriation of the employee at the expiration of applicant’s permitted stay in Hong Kong. The Immigration Department in Hong Kong government is the authority for processing. Alternatively, the local sponsor may submit the employee’s application to the Hong Kong Immigration Department. In considering an application, the Immigration Department must be satisfied that there is no suitable local candidate for the position. Where the post involves a special skill or is of a senior nature, this is not normally a problem. In Hong Kong, a contract of employment can be in writing or verbal format. However, when employees request a written contract before commencement of the employment, the employer is required to give written particulars of certain conditions of employment including the wages and wage period, the amount of end-of-year payment or the proportional entitlement and the length of notice required to terminate the employment and signed by employer. The employer must provide a copy of it to the employee immediately. Most of statutory labour benefits are only available to employees who are employed under the condition of continuous employment which means that the employee has been employed for at least 18 hours a week, for at least four consecutive weeks. The statutory minimum wage (SMW) which is prescribed in Minimum Wage Ordinance came into effective in 2011. The current statutory minimum wage rate is HK$32.5 per hour worked since May 2015. If a employee receive its wage in a wage period less than his SMW, his employer must pay extra to make up the difference. Various industry-specific reference guidelines have also been published to address the characteristics and particular modes of operation of different industries for calculating the statutory minimum wage. The level of statutory minimum wage should not pose drawback to oversea entrepreneur to invest in Hong Kong because this wage level is, in fact, not able to sustain a reasonable living standard in Hong Kong. A full time junior clerical staff works 9 hours per day, 5 working days per week and 1 paid rest day per week in a wage period of 4 week, so his SMW is HK$7020 ($30 x 9 hours x 6 days x 4 weeks). Employer cannot pay less than HK$7020 to this employee. It is far below the market average wage for a junior clerical staff. In Hong Kong, there is no legal regulation on maximum working hours on employment of adult employee (except the employment of preadult in industrial undertakings). The Employment Ordinance stated the provision of Statutory holiday (paid holiday, or named public holiday) and rest day. Following the 2012 review on Standard Working Hours by Labour Department, a comprehensive consultation exercise will be carried out by government to determine the appropriate way of proceeding about standard working hours for Hong Kong employment. The monetary cap on the requirement of employers recording the total number of hours worked by employees is set to $13,300 per month since May 2015. Continuous employee are entitled to certain benefits with provision in EO, Paid Annual Leave is one of them. Employee are entitled to a minimum of seven days of annual leave with paid, calculated on the basis of length of service. In Hong Kong, the government does not offer pension fund for retirement protection. To cope with the need in society, the Mandatory Provident Fund Scheme (MPF Scheme) is established by the provision of the Mandatory Provident Fund Scheme Ordinance that requires every employer in Hong Kong contributes an amount equal to 5 percent of an employee’s salary in a wage period to a employee’s retirement scheme registered MPF Scheme. On the other hand, every employee is also required to contribute at least 5 percent of their salary to their scheme. It is not perfect, the MPF system covers close to 100 percent of employees in Hong Kong and recorded an annualized rate of return (net of fees and charges) of 4.2 percent till October 2014. The ceiling of mandatory contribution by either employee or employer is capped at HK$1500 per wage period. Voluntary contributions have no cap. The employees with salary less than HK$7100 per wage period is free from employees’ contribution. Other than MPF system for employees’ retirement protection scheme in Hong Kong, Occupation Retirement Scheme (ORS) by the provision of the Occupational Retirement Scheme Ordinance is available for employers to take part instead of MPF scheme. Since ORS is more costly in nature to employers, only certain government department takes part in it. Under the provision of Employees Compensation Ordinance, all Hong Kong employer are required to maintain sufficient insurance to cover their employees for the case of work-related injuries and even death. In Hong Kong, employers have no obligations to offer medical benefits to their employees. Both employers and employees need not make deduction from their income in respect of social security contributions since Hong Kong has a non-contributory social security system to provide a basic social safety net. Part of labour benefits, continuous female employees (subject to the qualifying medical requirements) are entitled to paid maternity leave of not less than 10 weeks. Maternity leave pay must be paid at the rate of four-fifths of a month’s pay and released on regular basis the same to usual paid day. Meanwhile, legislation of paternity leave was introduced in 2014 to provide male employee with 3 paid leave at four-fifths of a month’s pay. Since April 2012, male civil service employees have been entitled to a paternity leave of five working days on full pay. Part of labour benefits, continuous employees are entitled to paid sickness leave day at the rate of four-fifths of a month’s pay when they are entitled a period of absence of more than 4 consecutive days due to sickness with qualified medical proof within a wage period. Employees’ sickness leave is accumulative at the rate of 2 paid sickness days for each months during the first 12 months of employment, up to a maximum of 120 paid sickness days. Part of labour benefits to continuous employees, severance pay is prescribed in Employment Ordinance. It is a single compensation payment by employer to an employee who has been employed for not less than 24 months and is dismissed by reason of redundancy or laid off. The amount of severance pay is two-thirds of an employee’s month’s pay for each year of employment or twothirds of HK$22,500 (i.e., HK$15,000), whichever is less, up to a maximum payment of HK$390,000. For employer, they can deduct the amount of any contractual gratuity based on length of service from the amount of severance pay due to an employee. Additionally, they can also deduct severance pay due to employee from part of employer’s contribution in retirement scheme. Employers are on the favorable side. Part of labour benefits to continuous employees but the employees’ right to severance pay and the right to long service pay are mutually exclusive, employees who have been employed for not less than five years are entitled to long service pay on dismissal in a situation or redundancy whereas long service pay is intended to reward employees who are dismissed in a non-redundancy situation for their long service. The amount of long service pay is calculated by reference to the age of the employee and length of service at termination up to a maximum payment of HK$390,000. The amount of any contractual gratuity based on length of service is deductible from the amount of long service due to an employee. The employer are on favorable side to pay long service pay due to employee, the part of a retirement scheme benefit for the employee may be set-off against an employee’s entitlement to long service payment. Except the condition of summarily dismissed for good cause or during the first month of probation period, employers cannot terminate an continuous employment contract without prior notice to employees, employee or employer is entitled to the payment in lieu of notice to the other party when contract is terminated without notice. Annual leave day and maternity leave day are not included in the length of notice for the termination. The amount of payment in lieu of notice can be determined by mutual agreement, or calculated based on the basis of the employee’s average daily (or monthly) wages. To conclude, an employee is entitled to the following payments on termination: accrued wages for work performed, a payment in lieu of notice; accrued annual leave, outstanding holiday pay and accrued end of year payments. For oversea entrepreneur doing business in jurisdictions applied these international treaties, they found high degree of familiarity in Hong Kong. Intellectual Property Department is the authority of Hong Kong government to provide trademark, copyright, designs and patents registration services for the public in Hong Kong. The broad understanding of a trademark is any visual sign which must be able of being represented graphically for customers to distinguish the goods or service provided by one trader from that of other traders. In short, trademarks mean “the mark of trade”. By the Trade Marks Ordinance (Trademarks laws in Hong Kong), a registered trademark must fall into a specific category of goods or services. Descriptive, deceptive, geographical, or surname trademarks are always refused except additional meaning is presented. A trader can optionally register its marks used in trade in one of the available categories of goods and services, the registration must be in writing format to Intellectual Property Department. After successful registration, the registered trademarks are licensed and available for public search in Trade Marks Registry. The registration of trademark is not compulsory. However, failing of registration may harm the trader’s ownership on the mark against unauthorized people to obtain interest in it. When a registered trademark or a confusingly similar mark of this registered trademark is being used in the trade of the goods and services for which is registered without permission of the trademark’s owner, it is the case of infringement. It is because a registered trademark is entitled to protection under the Paris Convention. The well-known trademark is always given wider protection under our law system. Since Hong Kong adopts common law legal system, protection for unregistered trademarks is still available but much more complicated. Usually, economical damage to the trademark owner is already made before the owner to take legal action. For example, when a trader finds that its unregistered trademark or name is used by another trader to misrepresent its goods or services as being those of owner, the owner must establish that its mark enjoys sufficient reputation in Hong Kong (if the owner does not have business presence in Hong Kong, oversea reputation can be spilled over to Hong Kong). Then, the owner has to prove that misrepresentation leads to confusion of some public who buy or use of such goods or services. Unlike the protection to other intellectual property, it is not necessary to register a copyright in Hong Kong, China in order to get protection under the Hong Kong law. In fact, there is no official registry in Hong Kong for registration of copyright works. Copyright Ordinance (Hong Kong copyright law) requires that only original and recorded work within one of the copyright categories in the ordinance can be protected. Generally, copyright lasts for the lifetime of the author plus 50 years. Be specific, the length of protection varies for different categories of copyright: Sound recordings and broadcasts enjoy copyright for 50 years from the end of the calendar year in which they are first published. Unregistered designs (explained below) are only protected under copyright for a period of 15 years from the date of first marketing, while a registered design is also protected under copyright for a period of 25 years from the end of the year of first marketing. The author or maker or publisher of the work automatically vest the ownership of copyright, but there are special arrangement for employee’s works and commissioned works. Employers own the works’ copyright when the works are created by employees because of the employment contract. However, the person commissioned remains the copyright owner and the person who commissioned the work enjoys exclusive rights to use the work, unless specific others are stated. When a work is sufficiently identified, copyright can be freely assigned or licensed in writing format. Without the consent of the copyright owner, any parties infringed the copyright of the work or a substantial part of it when it is copied, published, performed or adapted. For oversea entrepreneur, they should pay attention to commercial dealing with infringing copies, including importing, selling and hiring, may also constitute an infringement with the requisite knowledge, and the possession of video recording equipment in a place of public entertainment (a cinema, theatre or concert hall for the showing of films or performances), without lawful authority or reasonable excuse, also constitutes an offence. Under the Registered Design Ordinance, only a new design that includes either features of shape, configuration, pattern or ornament applied to an article by any industrial process, which in the finished article appeal to and are judged by the eye, is registrable. is made and sold separately. In this regard to new design as a requirement of design registration, worldwide novelty is required. The Ordinance regulates that the period of registration and period of renewal are not the same. The initial period of registration for an industrial design is 5 years from the filing date and is renewable for five-year periods. The total period of registration may not exceed 25 years. Registered designs can be freely assigned and licensed in writing format. The assignment or license should be registered with the Designs Registry. Infringement of registered designs include the unauthorized manufacture, sale, offer for sale, hire or import of articles the same as, or not substantially different from, the registered design. To meet requirements for patent registration, the innovation must be new as in it doesn’t structure a piece of the best in class when the application is made. Further, it must include steps of invention and not be clear to anyone talented in such field. Furthermore, it must be equipped for industrial application and must not be fit in rejected classification. Under the current Patents Ordinance in Hong Kong, standard patent and short-term patent are open for registration, their valid periods are 20 years and 8 years respectively. Standard patents and are renewable yearly from the end of the third year taking after the first anniversary of the patent after the beginning date. To obtain Hong Kong standard patents, it can be done by a registration framework from parent UK, Chinese or European (assigning UK) patent. Once registered, Hong Kong standard patents are completely independent of their parents. Registration of short-term patent is reachable by applying directly to Intellectual Property Department and is not reliant on a former application outside Hong Kong. Patents may be freely assigned or licensed, its assignments and licenses ought to be made in writing format and such transactions should be open for public search in IPD. Infringement includes to make, utilization, discard, offer to discard, import or keep for the reason of disposing, a patented product or methodology. Remedies for infringement of all intellectual property rights incorporate an order, revelation upon pledge, conveyance up for devastation or relinquishment, harms and/or a record of benefits and legitimate expenses. The courts may concede requests to inquiry premises and seize infringing products and confirmation without former notice to the infringer. The Customs and Excise Department likewise have wide powers of pursuit, seizure and capture under the criminal procurements to implement trademark and copyright. Under legal definition of Intellectual Property, “know-how” cannot be protected since it is neither a work nor invention. In practice, confidential business information should be protected, assigned or licensed by business contract, and under rules of common law and equity. For confidential information to be protected under common law, it must have the necessary quality of confidence about it; it must be conveyed under circumstances that create a duty of confidentiality, while its unauthorized use or disclosure will cause detriment to the owner. For Hong Kong Companies (companies incorporated in Hong Kong and limited by shares or guarantee) and non-Hong Kong Companies (companies incorporated in other jurisdictions outside Hong Kong), the process of “De-Registration of a company” is named as “winding up” officially (“liquidation” is generally more common among oversea entrepreneur) and this is governed by the Companies (Winding up and Miscellaneous Provisions) Ordinance and subsidiary legislation. However, the directors of the companies which become insolvent are held personally liable if they have been carrying on business when they have been proved a fraudulent purpose or with intent to defraud creditors. When Hong Kong Companies is in the state of insolvency, it usually results in liquidation: either by way of voluntary liquidation or by way of compulsory liquidation pursuant to court order on a winding-up petition presented against the company. For those Hong Kong companies in certain regulated industries which are related to public interest, such as banking and finance, additional legislation empower HK government to petition for the winding up of that companies in the case of against of public interest. In short, the company winding up process is voluntarily initiated by all members, the simplest form of winding up. It is the statutory procedure to allow a company which must be solvent at the time of application to voluntarily wind up its affairs and dissolve. All the members of the company agree to the company de-registration / liquidation, the company has ceased to carry on business for more than 3 months just before the statutory application (or has never commenced business), AND the company has no outstanding liabilities (debt) and thus has obtain Notice of No Objection from the Inland Revenue Department (from where the company the company obtains its Business Registration Certification). When the company is insolvent, the winding up process can be commenced by a shareholders’ resolution, and shortly after a creditors’ meeting is convened for the principal purpose of nominating a liquidator who is commonly a certificate public accountant or partner of an audit firm. The creditors are also entitled to appoint a committee of inspection which is for liaison with the liquidator and supervisory function. An expedited procedure is available to the directors if they determine immediate winding up to commence and no other form of winding up is appropriate. Initiated by pursuant to court order which is usually based on a petition presented by a creditor, a shareholder or even the company itself, the company may be not be insolvent (although it is usually insolvent). Prescribed in The Companies Ordinance, a petition can be presented upon the grounds or an inability to pay debts (the most common ground), or just and equitable that the company should be wound up. The process of compulsory winding up commences when the court grants of the winding-up order. First of all, the Official Receiver (head of the Official Receiver’s Office) is appointed as provisional liquidator pending the holding of the first creditors’ meeting, at which creditors may appoint an alternative liquidator and nominate a committee of inspection. The court may appoint a provisional liquidator to take control of the company’s affairs during the period between presentation of a petition and the hearing of the petition if it is considered to protect the assets of the company during this period. In the case of any surplus in the liquidation, then it is distributed to the company’s shareholders. On commencement of liquidation process of creditors’ voluntary or compulsory winding up, the liquidator takes over the external and internal affairs of the company and the thus powers of the directors are suspended. The liquidator take part in selling the assets for cash, claims adjudication, and assets / cash distributions to creditors who are entitled rights to claim in the liquidation but. There are no restrictions on the creditors’ rights of a security to realize them. In the event of a floating charge debenture (the legal name given to a loan agreement where the borrower is a company) granted to a company including a general charge over its undertaking, property and assets, the usual method of enforcement of the security is through the appointment of a receiver by the debenture holder (i.e. secured creditor, lender) to commence receivership. The debenture usually grants the receiver the power of carrying on the business and selling individual assets or the business, for repaying the amount due to the debenture holder. Therefore, a receiver may not be only be appointed in company liquidation but the appointment is usually a sign of company insolvency. Once the debenture holder has been fully repaid and the company or its liquidator has been explain any surplus generated from the receivership, the duty of receiver is terminated and thus receivership. In the case that a floating charge is created within 12 months prior to the company’s winding up, its validity is usually challenged by the liquidators (since who is representing the company’s creditors). Under the Companies Ordinance, the court can order a company and its creditors (or shareholders) through a scheme of arrangement or compromises for reorganization of business. This scheme must be approved in separate class meetings of creditors (or shareholders), it binds upon all creditors (or shareholders) if the requisite majorities and court sanction are obtained. In fact, the procedures are complex to follow, creditors remain entitled to pursue their remedies in accordance with the general law until the scheme has been approved and sanctioned. Bankruptcy is the permanent stigma on individuals, it harms their credibility in lifetime, their professions may be withdrawn, and they may be prohibited from practice in certain professions. The Bankruptcy Ordinance governs individual bankruptcy (as opposed to corporate insolvency). The fundamental different between corporate bankruptcy and individual bankruptcy is the the latter can be commenced through petition to the court by creditor(s), although a voluntary petition may still be presented by the debtor in person. The grounds of individual bankruptcy petition to the court are specified in the Bankruptcy Ordinance, the debtor’s inability to pay debts is the most common ground. The procedures in bankruptcy are essentially the same as those for compulsory winding-up of a company. When the bankruptcy petition is being processed by the court, the Official Receiver is appointed as the interim receiver of the debtor’s property until the bankruptcy order is made by the court. When the order is issued, the Official Receiver is appointed as the receiver of the bankrupt’s property. The Official Receiver, decides whether to hold a creditors’ meeting within 12 weeks. In the meetings, a trustee is appointed to manage the bankrupt’s estate. A criminal bankruptcy order may also be made on petition by the Secretary for Justice in the cases where the petitioner considers it to be in the public interest. When the debtors are adjudged bankrupt, they are automatically discharged from the order 4 years after the date on which the bankruptcy order was issues. The court orders 5 years after this date in cases where the debtors have adjudged bankrupt previously. Under the Bankruptcy Ordinance, debtors may avoid bankruptcy by entering arrangement with their creditors to reschedule their debts via a legal procedure named Individual Voluntary Arrangement (IVA). The terms of the IVA may be agreed between the debtor and his or her creditors, creditors usually welcome IVA since better repayment is expected. When the IVA becomes effective, it represents a compromise of creditors’ claims debarring them from initiating bankruptcy proceedings. In Hong Kong, an individual, a company, or the Government can be either a complainants (the party bring the litigation to the court) or defendants in a civil litigation case. In every litigation case, both complainants and defendants present their cases respectively to the court for the judge to determine if the legal rights and obligations of one (or more) of the parties in the case are being infringed, and if so, to obtain appropriate compensation and remedy for that party. The judge will act as an umpire and make decisions concerning case after considering the evidence and hearing the arguments from the parties involved. The court costs, including the expense that the winning party spent on the preparation and hearing of the case as well as the cost of court, is usually order to be paid by the losing party by the judge, these costs are in addition to and separate from the amount which the court may order the losing party to pay the winning party as a result of the judgment. The amount of these costs can be substantial, largely depending on the complexity of the case, the work required for preparation of the hearing and the length of the hearing. Litigation in the courts in Hong Kong is an adversarial system (a type of legal system) with the legal representatives of the parties appearing before the District Court (for civil cases involving a value of HK$50,000 or more, up to a maximum of HK$1 million) or the Court of First Instance. Mechanisms exist for appeals to the Court of Appeal, and then to the Hong Kong Court of Final Appeal. To solving dispute involving small sums of money, Small Claims Tribunal, where legal representation is not allowed, has jurisdiction over any claim involving a maximum value of HK$50,000. The cost of litigation is high, since the Hong Kong judicial system has offer other means of dispute resolution for minimizing costs of dispute resolution by avoiding huge court costs in the form of ADR which is a dispute resolution process whereby the disagreeing parties can come to an agreement instead of litigation. The most common forms of ADR are arbitration and mediation. Instead of court judge (in litigation), arbitration is a binding form of dispute resolution, equivalent to litigation in the courts, and is entirely distinct from the various forms of non-binding form of dispute resolution such as negotiation and mediation. Arbitrator(s) is the result of arbitration. The arbitrators issue an arbitration award to the aggrieved party (The party who is entitled to commence a lawsuit), the arbitration award (final decision of an arbitrator) has a status similar to a court judgment and is enforceable in a similar manner: awards are final and binding on the parties involved and the parties can only challenge these awards in very exceptional circumstances, and awards made in Hong Kong are enforceable through the courts of most of the world’s trading nations. In a dispute, all of the disputing parties must agree to take their dispute to arbitration. Practically, the disputing parties usually have made an agreement of arbitration clause in their contract when it is signed by them. The arbitration clause always state that any dispute arising from the contract will not be heard by a court, instead they will be heard by a private individual(s). In the event both all of the parties agree to proceed to litigation rather than arbitration, the courts will normally force the parties to honor their agreement to arbitrate. In contrast to arbitration and litigation, mediation is an non-binding form of dispute resolution, mediator is the result of a mediation. However, mediators are neither judge nor arbitrator, they are not given any power to force the parties to impose a settlement. Mediators will attempt to bring the parties to a mutually accepted settlement in a case of dispute. The settlement is reached in form of a mutually accepted agreement which is not immediately enforceable. In a dispute, all of the disputing parties must agree to take their dispute to mediation. To help disputing parties reach a settlement, mediation often involves the appointment of a third party specialist in field of disputing matter. Both arbitration and mediation are Alternative Dispute Resolution, no party is compelled to go to mediation but the court may order arbitration if arbitration clause is present in the contract. In an event of dispute, the mediator assists the parties to reach settlement by an mutual agreement which is not immediately enforceable and no binding – how and when these parties honor the agreements are purely the matters on this contract. On the contrary, if the parties chose to go for arbitration, the award made by the arbitrator(s) would be final and binding on the parties, and immediately enforceable. Mediation is always the recommended dispute resolution resolution but the disputing parties are free to choose either arbitration or mediation. Practically, contracts should provides the subject matter of their disputes so disputing parties should refer to the terms in their contracts. Especially the commercial contracts, there are an arbitration clause stating that when there are disputes arising from the contract. legal proceedings should be the last step after arbitration does not result in settlement. There is a wide variety of specialist tribunals and courts dealing with land, tenancy, labour, licensing, professional disciplinary and other matters.